Crooked teeth may not look very good, but that misalignment is much more than a purely cosmetic problem. If every member of your smile isn’t in its proper place, it may be difficult for you to chew comfortably and maintain a clean mouth. Your teeth are also at a greater risk of breakage and premature wear and tear. Correcting alignment issues with the help of a qualified orthodontist in Newington can drastically improve your smile’s appearance. More importantly, it can set you up for a lifetime of healthy, comfortable smiles. Teeth are not cemented into the bone that supports them. Rather, they’re attached to the bone via tiny ligaments that allow the teeth to have a small range of motion. By applying gentle, sustained pressure to the teeth, orthodontic appliances can gradually move them into their proper places. Sometimes, special attachments work with an orthodontic appliance to make the treatment as efficient and effective as possible. Getting your teeth straightened begins with a complimentary consultation with our on-staff orthodontist, Dr. Ji Young Lim. Her approach to care is extremely patient-oriented, so you can expect her to take the time to answer all of your questions and honestly discuss the pros and cons of all your treatment options. She’ll make a recommendation for your next steps based on your unique orthodontic needs and your personal preferences. Your treatment can suit your style. 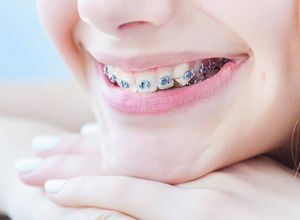 Clear or tooth-colored braces are ideal if you want to opt for a subtle appearance. Or, you can choose fun colors to express your vibrant personality. Since braces are fixed on your teeth, you never have to worry about forgetting to wear them or accidentally leaving them somewhere. Most families are surprised by how affordable braces in Newington are. With our special offer, you may be able to get treatment for as little as $187 per month with no money down if you sign up for auto-pay. Fixed braces are quite strong. As long as you take proper precautions, they are highly unlikely to break and require emergency repair. Instead of using brackets and wires, Invisalign uses a series of clear plastic aligners to reposition teeth. 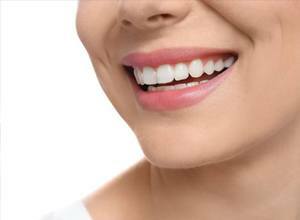 The aligner trays are extremely discreet, which makes this a great treatment option for adults who want to maintain a professional appearance. Also, the aligners’ removable nature means that there are no strict dietary rules with Invisalign. If you or someone in your family could benefit from orthodontic treatment, we warmly invite you to contact us. We’ll be happy to answer your questions and schedule your consultation at a time that is convenient for you.